The College of Bishops approved the admission of four new members at its June 2017 meeting in Wheaton, IL. With the Rt. Rev. Ray Sutton’s installation as the Presiding Bishop of the Reformed Episcopal Church, The Very Rev. Walter Banek was elected as a Suffragan Bishop to assist Bishop Sutton with episcopal responsibilities in the Diocese of Mid-America. The Rt. Rev. 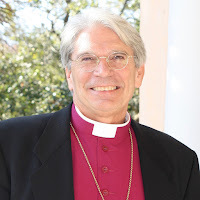 Mark Lawrence, Bishop of South Carolina, joined the College in anticipation of the Diocese of South Carolina’s admission into the Anglican Church in North America. The Rev. Canon Andy Lines was elected as a Missionary Bishop for Europe. In addition, The Rt. Rev. Peter Manto’s election as Co-Adjutor in the Diocese of the Central States was also approved. 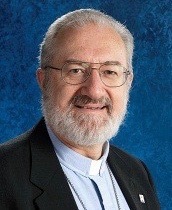 Bishop Manto had previously been a Suffragan Bishop in the Diocese of the Central States under Bishop Dan Morse. The Very Rev. Walter Banek, grew up in Chicago, IL, the son of immigrants who came to the United States from Germany following World War II. He studied Architecture for two years at the University of Illinois (1970-1972) before deciding to transfer to Moody Bible Institute (1972-1975) where he received his BA in Bible Theology. He received his M.Div from Cummins Theological Seminary in Summerville, SC in 2000. At Moody, the Rev. Banek met his wife, Nelda, and they were married in 1975. 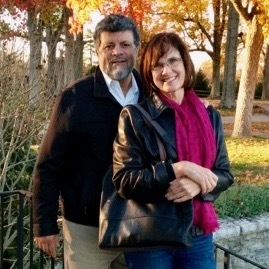 They moved from Chicago to Oklahoma where they first became active in Tanglewood Reformed Baptist Church in Sand Springs, OK, and then in 1981, joined Grace Orthodox Presbyterian Church in Tulsa, OK (1978-1991). He was ordained a deacon in the Reformed Episcopal Church in 1989, ordained a priest in 1993, and unanimously elected as Suffragan Bishop in 2017. The Rev. Banek and his wife Nelda have four children, as well as three adopted Russian siblings. They have seventeen grandchildren. The Right Rev. Mark Lawrence was born in Bakersfield, CA, and was educated at California State University, Bakersfield (BA, 1976) and Trinity Episcopal School for Ministry (M. Div. 1980) Ambridge, PA. He has also received honorary degrees from Nashotah House (D.D. 2008) and Sewanee (D.D. 2009). He has ministered in a wide variety of parish settings from suburban church plant, rural mission, inner city church, to downtown parish in California and Pennsylvania. In 2008, he was consecrated the 14th Episcopal Bishop of the Diocese of South Carolina at the Cathedral of Saint Luke and Saint Paul in Charleston, SC, and led the Diocese of South Carolina to join the ACNA by a unanimous vote in their Diocesan Convention on March 11, 2017. Bishop Lawrence has been married to Allison Kathleen Taylor since 1973. They have five children, and 21 grandchildren. The Rev. Canon Andy Lines, 57, became a Christian as a teenager through youth camp ministry. Following university studies he served in the 2nd Royal Tank Regiment (London-based) from 1979–1988 as a lieutenant and then a captain. While serving in the army, Canon Lines was seconded to Operation Raleigh. After marrying and on leaving the army, he studied at All Nations Christian College and went to Paraguay as a missionary, co-ordinating and teaching Bible courses for the church’s lay and ordained leaders. In October 2000, he became General Secretary (now Mission Director/CEO) of Crosslinks. 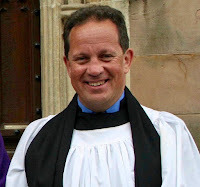 He is Chairman of the Anglican Mission in England and also Chairman of the GAFCON UK Task Force. The Canon Lines has been married to Mandy for 29 years and they have three children (Alex, born in 89, and now married to Bryony, Zoe, born in 1992, and Lizzy, born in 1995). They live in New Malden, Surrey (England) and attend Emmanuel Church in Wimbledon. Canon Lines enjoys reading military history, Spanish-speaking, cycling, rugby, second-hand bookshops, and amateur dramatics. Bishop-elect Lines will serve clergy and congregations who are outside other Anglican structures in Europe, providing an opportunity for ordination and oversight from a perspective of Biblical orthodoxy. Though seated in the Anglican Church in North America College of Bishops, he will be primarily operating overseas. In addition to being a parish pastor for over 35 years, he was the church-planter for a non-denominational church in Mason, OH, that he later guided to become Trinity Church in the Reformed Episcopal Church. On Dec. 7, 2013, he was consecrated as the Bishop Suffragan of the Diocese of the Central States (Reformed Episcopal Church and the Anglican Church in North America). Bishop Manto has been married to his wife, Janice, for 43 years, and they have four adult children and nine grandchildren.